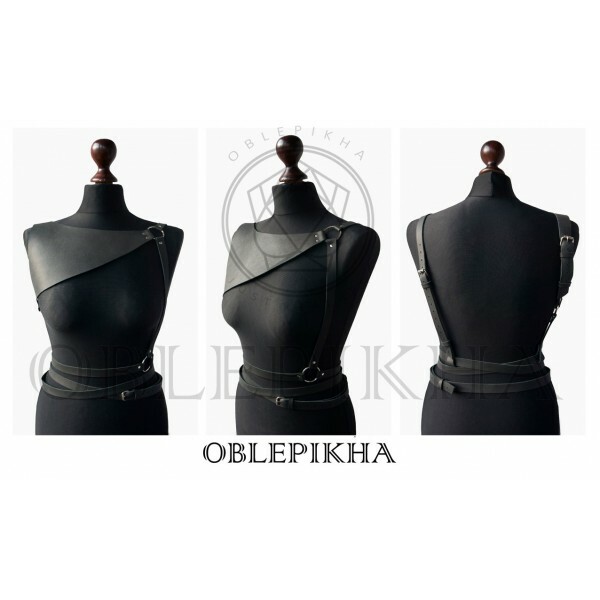 Brand "Oblepikha" presents new high fashion suspender for lovely customers. 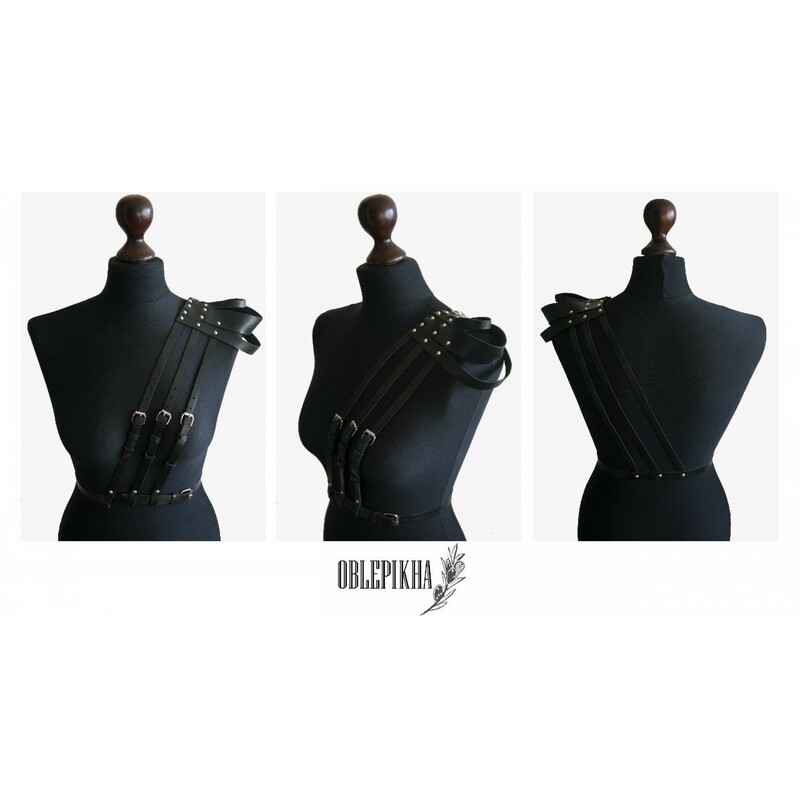 Materials: natural leather, metal decorations. Item will be the same as in the photos, but made according to your measurements. 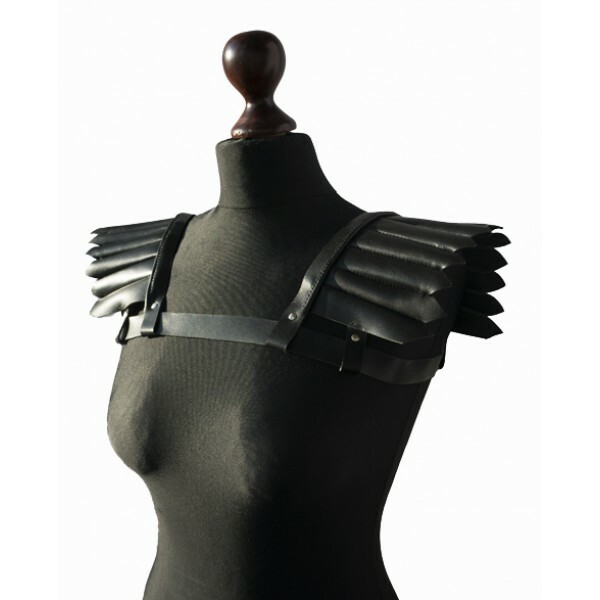 We can make any custom kind of suspenders, belts or other accessories upon request. Contact us if you want to order something special made for you. Usual processing time - 10-14 days. Attention! The color of items in the photos may be slightly different from the actual color depending on lighting and your monitor settings. Personal checks, money orders and bank transfers are not accepted. 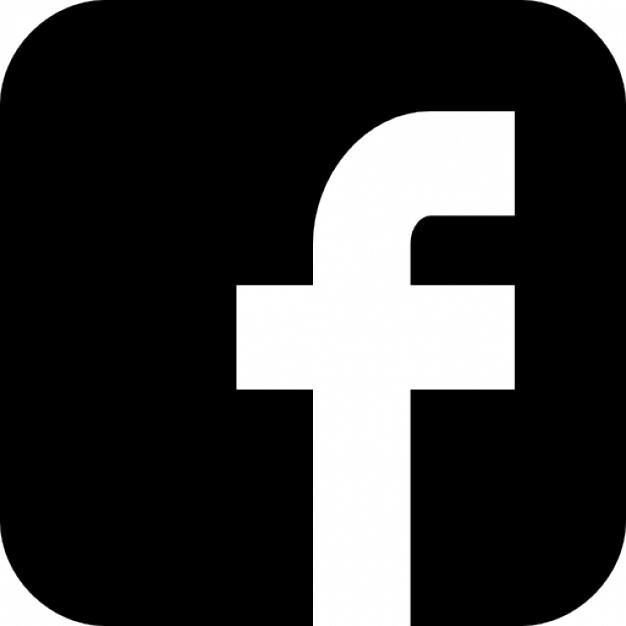 All prices on our site are listed in USD, and charged in USD. Prices are listed in USD. The exact exchange rate that you will pay is determined by the bank that issued your credit card. Is determined by your shipping address and may be applied to your order depending on your state or country. All applicable customs fees, taxes and duties are the responsibility of the customer. FD UNITED takes care about customers and states the value of an order directly on the package. It is the sole discretion of customs agents to release the package. Established 2015 - Collaborate brand for alternative fashion creators. All rights reserved.